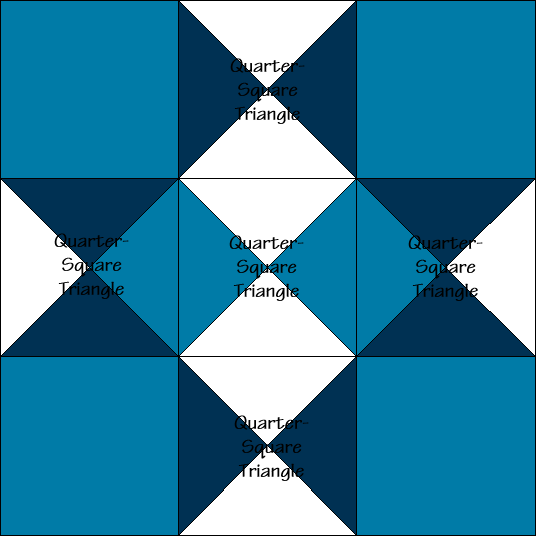 Blue: Cut FOUR (4) 4 1/2″ squares. 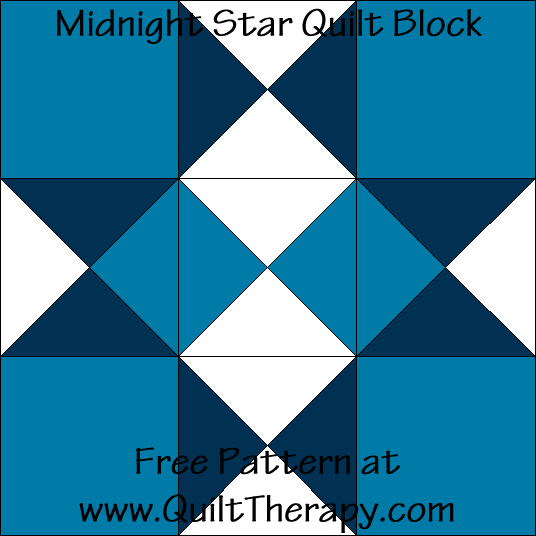 Blue: Cut ONE (1) 5 1/4″ square. Then cut the square diagonally, corner-to-corner, TWO (2) times. You will end up with FOUR (4) triangles. 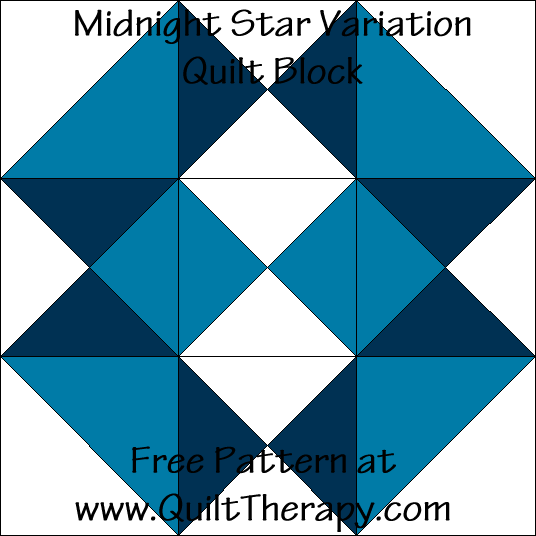 Dark Blue: Cut TWO (2) 5 1/4″ squares. 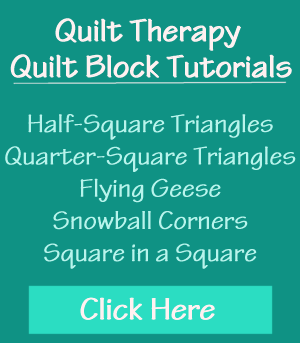 Then cut the squares diagonally, corner-to-corner, TWO (2) times. You will end up with FOUR (4) triangles per square. 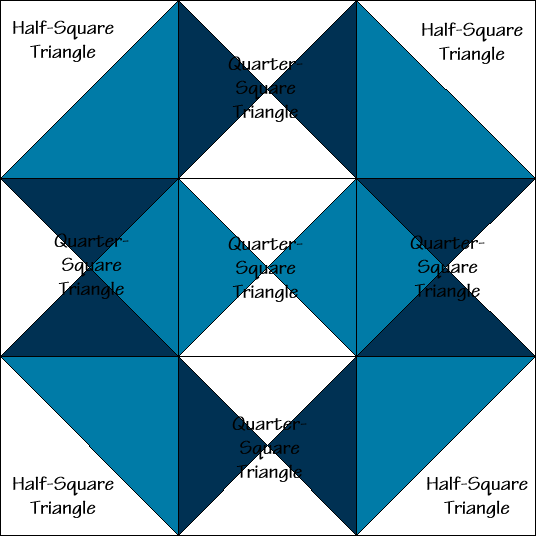 Blue: Cut TWO (2) 4 3/4″ squares. On the back side of each square draw a diagonal line, corner-to-corner, ONE (1) time.